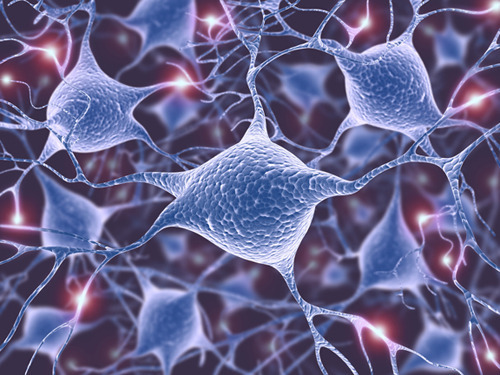 Brains are made of those small weird looking cells called the neurons. 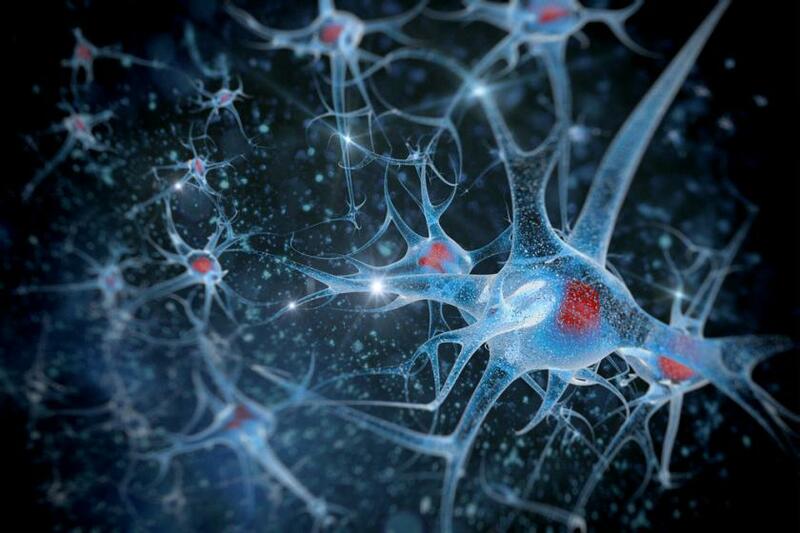 All those neurons are able to interconnect with each other making a huge network of neural circuits. So the answer to the question is simple; most of our human intelligence(s) comes from those neural circuits that are mostly located in the cortex of the brain (a.k.a. the Telencephalon). Also, there are a lot of connections among the different areas of the brain, but for now we’ll discuss only the neural connections in the higher brain that makes you smart! The more connections you have amongst different neurons and the stronger those connections are the smarter you are (about the Long Term Potentiation, a.k.a. LTP more soon). That’s the simplest explanation for now! I believe in the old-fashioned “use it or lose it!” I can add up with something like this: “use it and it will develop!” Brains use a lot of energy from the body, particularly the glucose from the blood stream. Because of the limitations in glucose, the brain wants to use energy efficiently. So when you stimulate it, or some specific region, and try to perform some new tasks that are unknown to that specific area, the neuroplasticity will kick in and try to reconnect or create some new connections so that the brain saves energy when performing those learned skills and tasks again in the future. Also, if there’s already enough connections, then LTP will help strengthen those connections. That’s how habits work, how skills work and basically how your whole nervous system works! Simply put: to develop your Intelligence(s) you’ll need to do the work and stimulate your neuron circuits as best as you can! And this can go in multiple directions, not just the old classic IQ! That’s why today we make difference among multiple brains (intelligences) like the language brain, the math brain, the creative brain, the logical brain, the artistic brain, the senses brain, the emotional brain, the optimist brain, the intrApersonal brain and the intErpersonal brain, as well as any region of your brain with a different function that you can name… The gamers brain – why not, the sports brain, and so on…! Some people like to say something like this: “he’s or she’s so smart and such a potential, but he’s or she’s stuck at the dead-end job that pays less than he or she deserves…damn this country!”.. or something like this “he has the greatest IQ than any person I know but he’s just so miserable! the economy… damn this country”. Something is not quite right here you may say! If you’re the “smartest” but at the same time the dumbest kid on the playground, maybe you’re not so smart as you think you’re. But fear no more, you’re in some good hands. As you may think the brain intelligence is not something that can be easily evaluated even if you do all the IQ tests (as well as any other). The only thing you can say about a person that took the test is that he or she when compared with the other test-takers, is good or bad. Also, only in those tasks presented in the test(s). Saying that someone who scored the highest is the smartest is just not that accurate. Why Developing Some Extra Bits of Intelligence? Having more complex brain means smarter the person. But why do you want to be smart or for that matter, why would you develop your senses when you’re not a person who’s working for a winery? “Everything is connected with everything” by Leo Da Vinci! …developing your memory can help you be more creative; more creative you’ll visualize more; visualize more and you’ll be more focused; focus more and you’ll read faster; read faster and you’ll learn faster; learn faster and you’ll know more; knowing more can help you get better at problem-solving; better problem solver equals fewer problems in your life; fewer problems means stressless life; no stress leads to happiness and in the end better relationships… and so on until infinity of connections are reached! Everything until now sounds great but there’s a catch. One thing that stays in front for our unlimited development of more complex cortex is the energy part. As I said, our brain is constantly asking for energy from the glucose and that’s expensive. The more it works the more energy it requires. But of course, those limitations are there for good reasons, not every second of your life needs to be about the brain development. Start doing small and scale up because the more complex brain it is, the easier it will be to build up. …The list goes on. In the end, you can even Google for some new skills! The brain is the most sophisticated and so advanced organ and yet so fragile and dumb at the same time! – by someone.